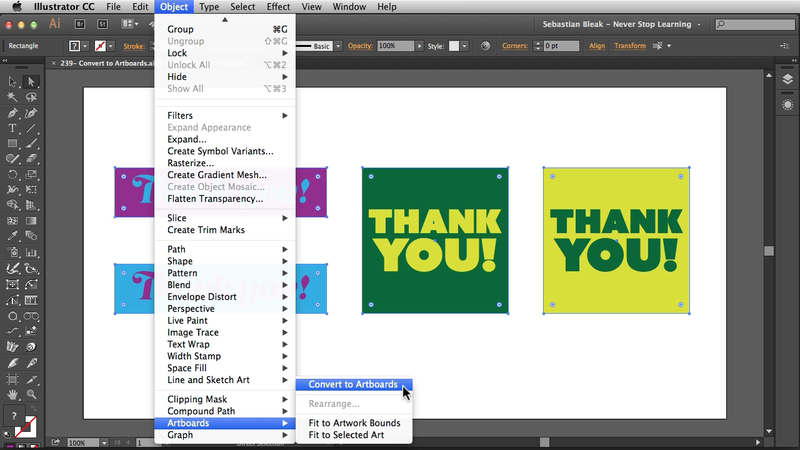 Check out the video above to see how the “Convert to Artboards” feature works in Adobe Illustrator. Just select some rectangles or squares and go into the object menu. I thought it was really cool because I often use artboards so this is really going to help me out. This entry was posted in Never Stop Learning, NSL - Adobe Illustrator and tagged adobe, adobe grind, adobe Illustrator CC, adobegrind, creative cloud, cs4, cs5, cs6, design, graphic design, never stop learning, postaweek, sebastian bleak, sebastianbleak, tutorials, vector, vectors, workflow. Bookmark the permalink.